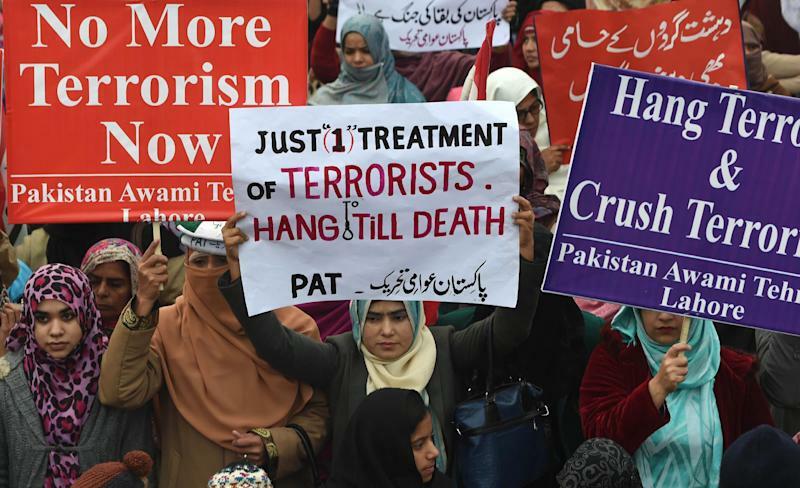 Pakistan plans to execute around 500 militants in coming weeks, officials said Monday, after the government lifted a moratorium on the death penalty in terror cases following a Taliban school massacre. Six militants have been hanged since Friday amid rising public anger over Tuesday's slaughter in the northwestern city of Peshawar, which left 149 people dead including 133 children. "Interior ministry has finalised the cases of 500 convicts who have exhausted all the appeals, their mercy petitions have been turned down by the president and their executions will take place in coming weeks," a senior government official told AFP on condition of anonymity. A second official confirmed the information. Of the six hanged so far, five were involved in a failed attempt to assassinate then military ruler Pervez Musharraf in 2003, while one was involved in a 2009 attack on the army headquarters. In Karachi, the Sindh High Court suspended the death warrants of two terror convicts just a day before they were due to go to the gallows. "The Sindh High Court suspended the death warrants of two terrorists today," additional advocate general Mustafa Mehsar told AFP. Defence attorney Abdul Razaq confirmed the news. "We had filed a petition in the Sindh High Court and the second review petition is pending in the superior courts and till the decision of the petition, the death penalty could not be implemented," Razaq told AFP. Both the accused were sentenced to death in July 2004 for killing a doctor in Karachi in July 2001. 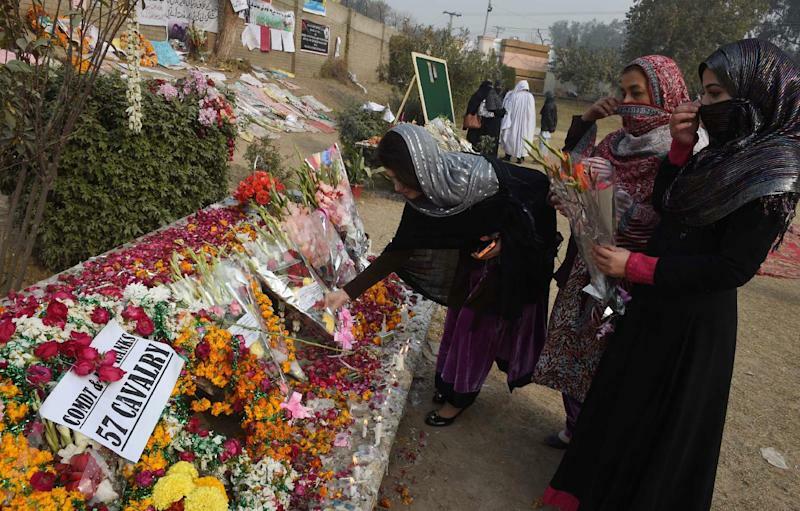 Cricketer-turned-politician Imran Khan, whose Pakistan Tehreek-e-Insaaf (PTI) party leads the government in Khyber-Pakhtunkhwa province, of which Peshawar is the capital, faced tough questions Monday from the relatives of those killed. Angry parents accused PTI of neglecting its duties in Khyber-Pakhtunkhwa in favour of months of protests in Islamabad aimed at bringing down the national government. Shahabuddin, the father of one student killed in the attack, told Khan: "We had voted for you to bring about a change, but you gave us nothing but politics of dharna (sit-in protest)." Police, troops and paramilitary rangers were deployed across the country and airports and prisons put on red alert during the executions and as troops intensify operations against Taliban militants. Sharif has ordered the attorney general's office to "actively pursue" capital cases currently in the courts, a government spokesman said. The "prime minister has also issued directions for appropriate measures for early disposal of pending cases related to terrorism," the spokesman said, without specifically confirming the plan to execute 500 people. Pakistan has described Tuesday's bloody school rampage, claimed by the Tehreek-e-Taliban Pakistan (TTP), as its own "mini 9/11", calling it a game-changer in the fight against extremism. Political and military leaders vowed to redouble efforts to stamp out the scourge of terror in the wake of the attack, which the TTP said was revenge for the killing of their families in an army offensive in the tribal northwest. The offensive against longstanding Taliban and other militant strongholds in North Waziristan and Khyber tribal agencies has been on going since June. But a series of fresh strikes since the Peshawar attack, in which dozens of alleged militants were killed, suggest the campaign is being stepped up. Police in the port city of Karachi said they killed 13 suspected Al-Qaeda and Taliban members Monday evening. 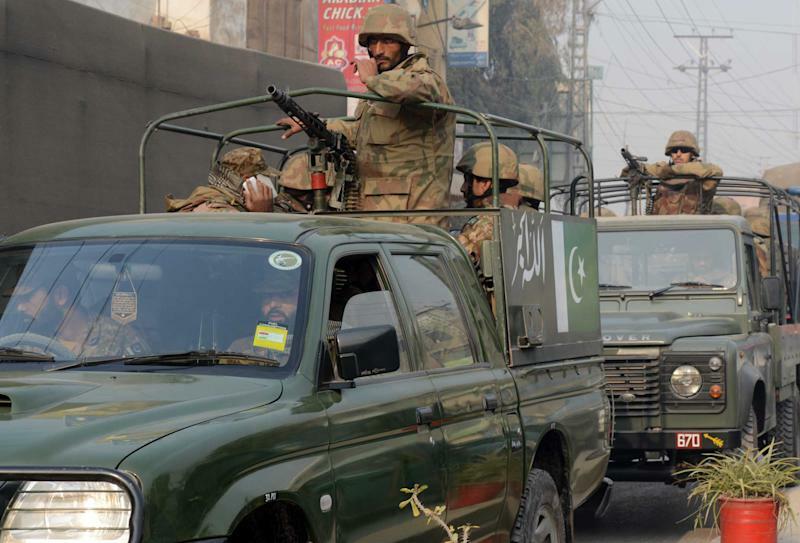 "The police killed 13 suspected Al-Qaeda and Taliban members in an encounter at the outskirts of the city near Super Highway," senior police official Rao Muhammad Anwar told AFP. The incident was confirmed by another senior police official Qamar Zaman. He said a huge cache of explosives was also recovered. Adding to an outcry by rights groups, UN High Commissioner for Human Rights Zeid Ra'ad Al-Hussein on Monday called on Pakistan to re-impose its moratorium on the death penalty. "The crime rate, historically, is not lowered by the imposition of capital punishment," he said, calling the resumption of executions "very unfortunate". Before Friday's resumption, only one person had been executed since 2008 -- a soldier convicted by a court martial and hanged in November 2012.